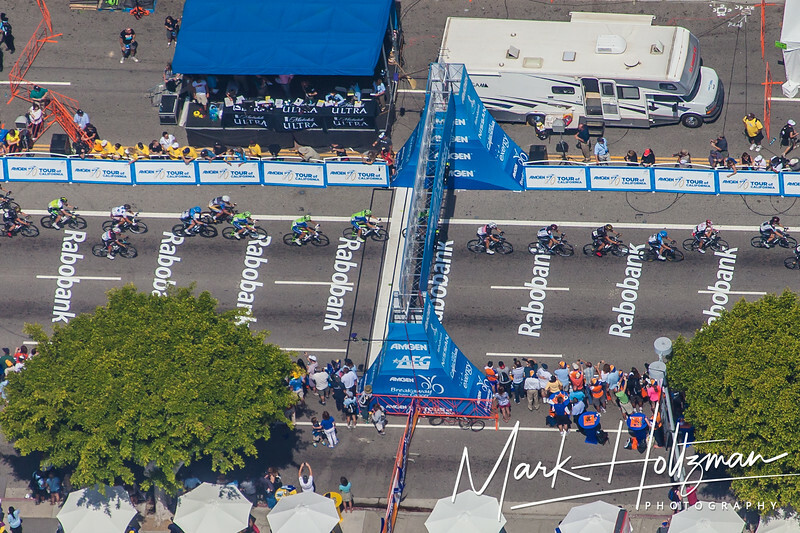 The Amgen Tour of California is one of the most important professional bike races in the United States. This year it started up in Santa Rosa, through Central California and the finish was at the Staples Center, LA Live after 5 laps around downtown. It is a lot of fun following the cyclists around all the downtown buildings and they look really fast even from the air!!! Here are a few pictures during the last few laps of the race.